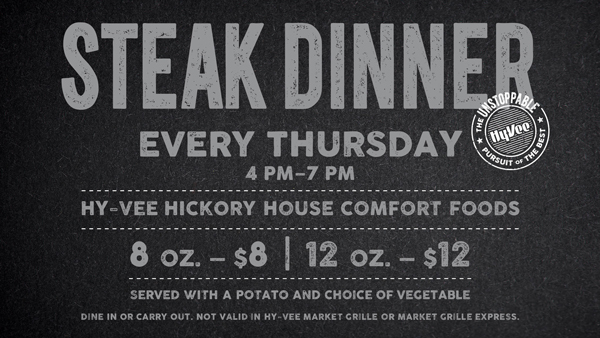 Hickory House Comfort Foods department for steak night! Available for dine-in or carry out. Not valid in Hy-Vee Market Grille or Market Grille Express.